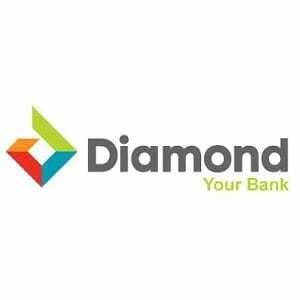 Diamond Bank Mobile Airtime recharge code is USSD Code that Upon dialing it, the specified amount gets deducted from your bank account and credits/recharges your line/phone number with the exact amount deducted. This is good for those times you would urgently to buy airtime for your phone but probably don’t have internet access to make use of Diamond Bank Mobile Banking or just don’t have a smartphone. The process is easy and free to use and it doesn’t require an internet connection even if you use it on Smartphone. You can purchase airtime multiple times a day using the diamond bank Airtime recharge code. The service is open 24/7, All day, every day. However, you have a limit of N3000 per day/24hours which is like safety measures just in case someone somehow gets hold of your phone. With that said, you should put some kind of lock option on your phone to prevent this from happening. To recharge your line on your mobile phone, all you have to do is Dial *937 *AMOUNT# on the phone number attached/linked to your diamond bank account number. The amount gets debited from your account and your line gets recharged with the same exact amount. Alternatively, you can use the following codes; *904 *AMOUNT# or Dial *302*AMOUNT#. If you’re a Diamond Bank Y’ello account holder, you can purchase airtime using this code: *710 *555 *Phone Number *AMOUNT*PIN#. For example, if you want to purchase N1000 worth of airtime, simply Dial *710 *555 *08011223344* 1234#. The best part about this is the fact that you can keep your line recharged even without going out or needing an internet connection to use their mobile app. You can recharge your line from anywhere, be it the comfort of your home or even on the go. Additional, you don’t even need a smartphone for it to work, although it will work on it but it will also work on Feature phones. If you still have any questions about the diamond bank Airtime Recharge Code, be sure to drop your questions in the comment section down below.